Whether in search of adventure and opportunity or fleeing poverty and violence, millions of people migrated to Argentina in the nineteenth and early twentieth centuries. 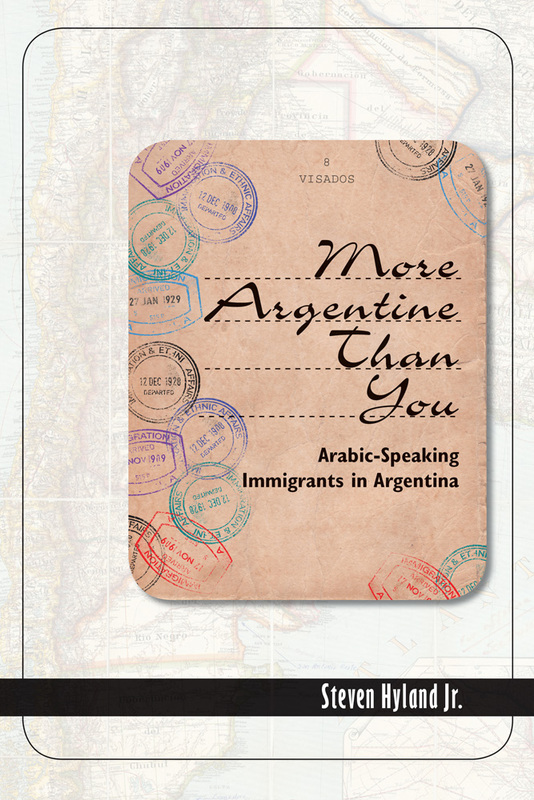 By the late 1920s Arabic speakers were one of the country’s largest immigrant groups. This book explores their experience, which was quite different from the danger and deprivation faced by twenty-first-century immigrants from the Middle East. Hyland shows how Syrians and Lebanese, Christians, Jews, and Muslims adapted to local social and political conditions, entered labor markets, established community institutions, raised families, and attempted to pursue their individual dreams and community goals. By showing how societies can come to terms with new arrivals and their descendants, Hyland addresses notions of belonging and acceptance, of integration and opportunity. He tells a story of immigrants and a story of Argentina that is at once timely and timeless. Steven Hyland Jr. is an associate professor in the Department of History and Political Science at Wingate University, North Carolina.